Cuba’s culture vice minister engaged with citizens who remain deeply concerned over the effects Decree 349 will have on Cuba’s art world. It all started at around 5pm Wednesday, when Camilo Condis, a young entrepreneur urged several culture ministry officials to read an independent story regarding the controversial new law which took effect December 6. 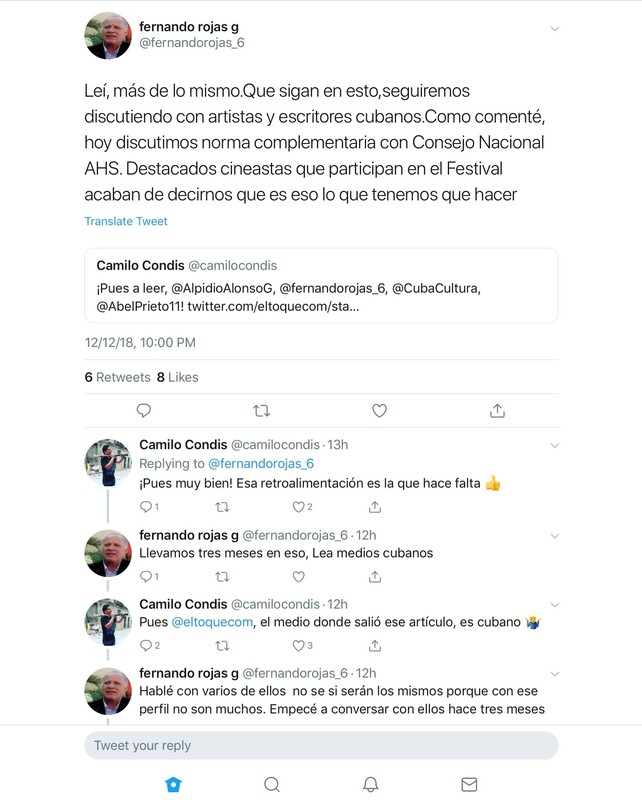 In a Twitter response, Cuban Culture Vice Minister Fernando Rojas said the article was much of the same and that he would continue discussing the law with artists and writers. The exchange lasted for hours and the vice minister did not shy away from most questions. “I simply asked for them to read it and genuinely surprised that Fernando Rojas replied,” Condis said. Cuba’s President Miguel Diaz-Canel has publicly said he wants more accountability from his top ministers in government. 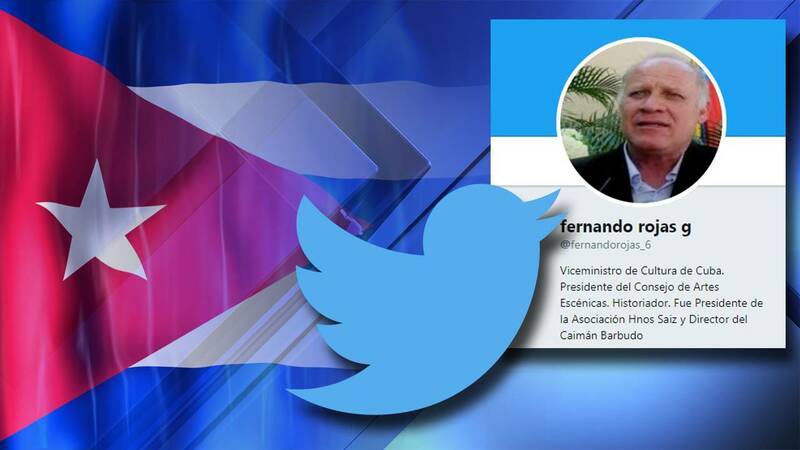 In recent weeks, high ranking Cuban officials have joined Twitter and almost daily basis ministers have appeared on a televised roundtable addressing current state of affairs. Condis feels this public dialogue is very important for the future of Cuba, but he remains confused about the inconsistencies in this new engagement policy. 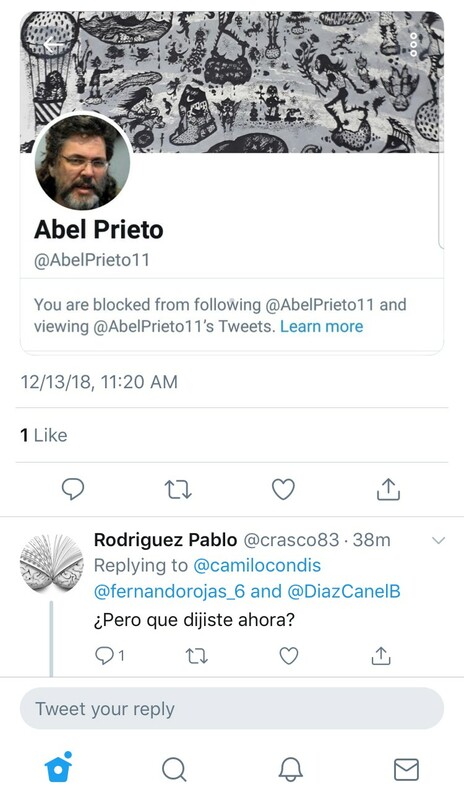 He told Local 10 News shortly after the Twitter exchange, he realized the former culture minister, Abel Prieto, had blocked him on Twitter. According to Condis, other her high ranking officials like Carlos Fernandez de Cossio, who heads the U.S. Section at Cuba’s Foreign Ministry, has also blocked him. Decree 349 would have given government inspectors power to shut down any exhibition or performance deemed to violate the country's socialist revolutionary values, according to the country's vice minister of culture in an interview with The Associated Press. The law, published in July, allowed "supervising inspectors" to review cultural events ranging from painting exhibitions to concerts and immediately close any show — and even confiscate the prized business license of any restaurant or bar hosting an objectionable event. Following protests by many artists, Rojas told the AP that inspectors on their own will only be able to shut down shows in extreme cases, such as public obscenity, racist or sexist content. He said inspectors will only respond to complaints on cultural matters and refer problematic cases to higher-ranking officials at the Culture Ministry. And they will not be able to inspect any studio or home that is not open to the public. Many of Cuba's most renowned artists had complained about censorship in closed-door meetings with high-ranking government officials.